The guitarist for Tangleweed. 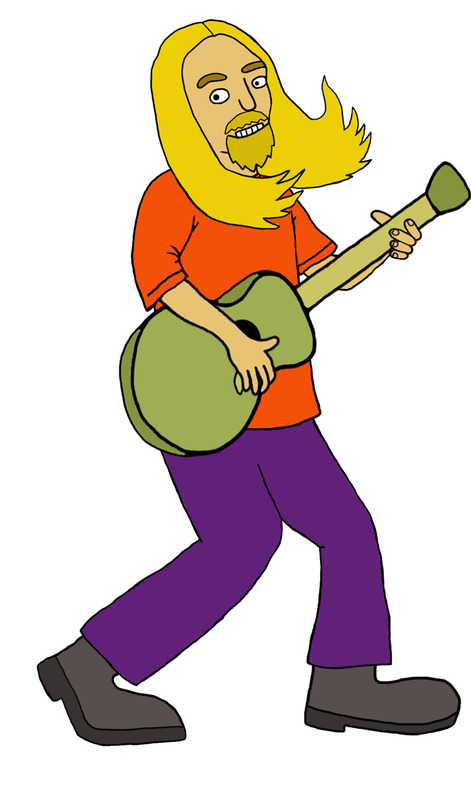 He has 3 heads (for some head-banging action), 3 right arms for strumming, and 2 hands for fretting. I was going to do more hands for fretting but I have a feeling most people aren’t going to be looking that close (and those scenes are 5-10 seconds long). If I have time I might get more detailed with that (and add strings).